As the presidential race enters the homestretch, President Obama and Mitt Romney are locked in a tight race in Wisconsin, according to a new Mason-Dixon poll. Obama has 48 percent support in the Badger State while Romney has 46 percent. Vice presidential nominee Paul Ryan told ABC News on Tuesday that he's optimistic about the ticket's chances in his home state. Still, a Republican presidential candidate has not carried Wisconsin since Ronald Reagan did so in 1984. 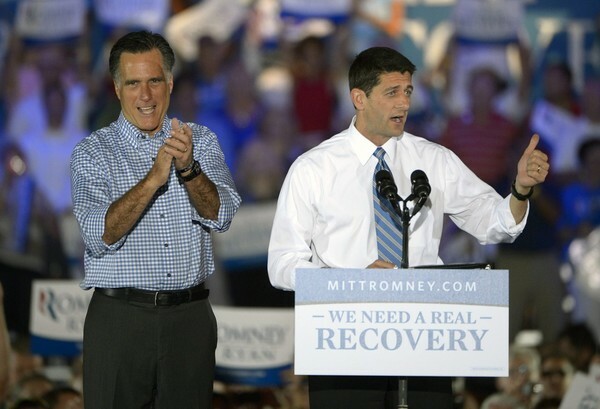 And the Obama campaign on Tuesday expressed confidence as the race enters the final two weeks despite Romney's surge in national and battleground state polls. The former Massachusetts governor currently has a slim advantage over the president in the RCP national polling average. In the race for U.S. Senate, the Mason-Dixon poll shows Democratic Rep. Tammy Baldwin holding on to a narrow lead, 47 percent to 45 percent, over former Gov. Tommy Thompson. Mason-Dixon surveyed 625 likely Wisconsin voters from Oct. 15-17. The poll has a margin of error of plus or minus four percentage points.